Tropical South China historically had a cover of moist broad-leaved forest much like the 1133 hectare (26 sq. mi.) 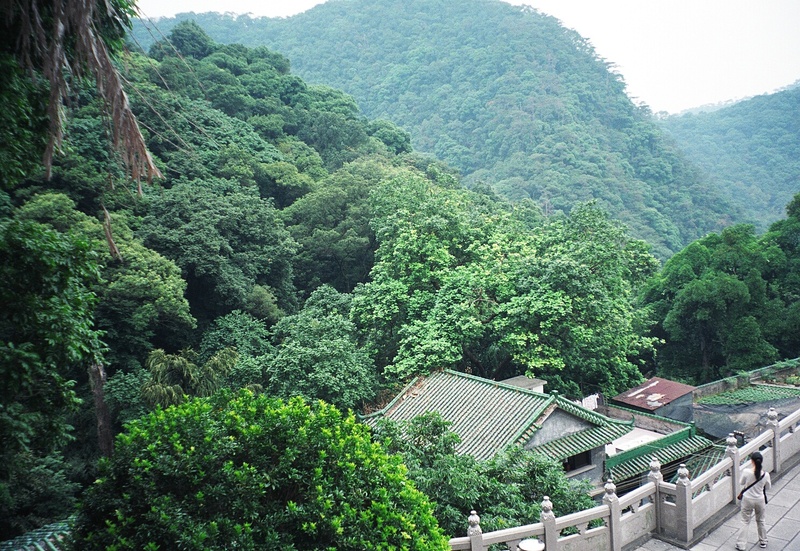 remnant of the Ding Hu Shan Nature Reserve. The Reserve is located some 100 km southwest of Guangzhou, Guangdong. Ding Hu Shan Nature Reserve, Guangdong (photo by W. Parham, 2003). The original forests were cut by farmers to provide building materials and firewood and to destroy the habitat for dangerous animals. Widespread forest removal set the stage for soil erosion and other adverse effects such as grass fires which are still a problem today. Grasses and shrubs replaced the original forest cover and during the dry season, the vegetation sometimes catches fire from human activities. 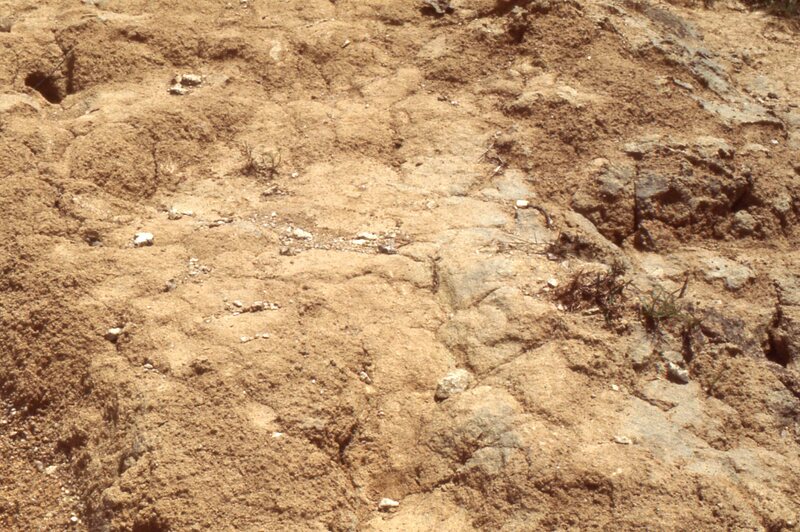 For example, many grave sites are situated on grass covered, country hill sides. The Chinese people commonly clean and repair the grave sites twice yearly during the ancient Qingming and Chung Yeung festivals. During these festivals, paper replicas of expensive items such as cars, yachts, TVs, etc. are burned at the grave site with the hope these items will be transferred to the person’s afterlife. Often, the burning paper blows from the site to start grass fires. Snake hunters also use burning paper to dislodge snakes from their holes and sometimes result in grass fires. And, too, there is the unintended fire started from a carelessly tossed lighted cigarette. Fires of these sorts occur year after year and help to retard growth of new tree seedlings. As a consequence, grasslands have become a widespread vegetative cover replacing original forests. 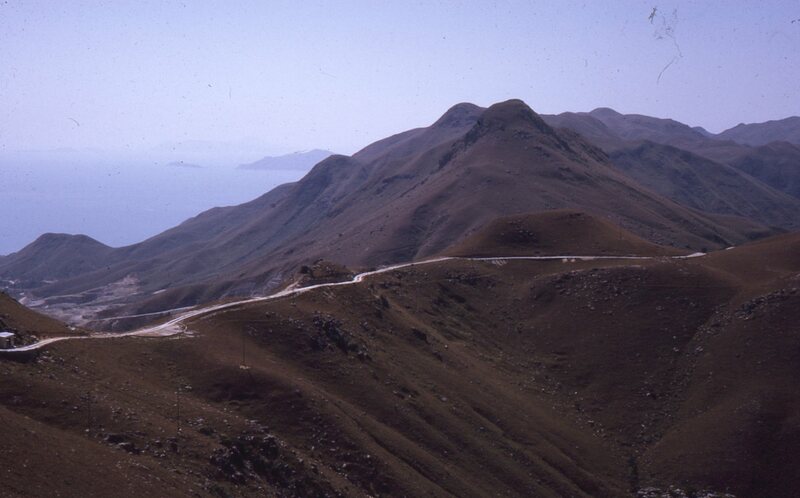 Grass covered mountains of Lan Tau Island, Hong Kong (photo by W. Parham, 1967). 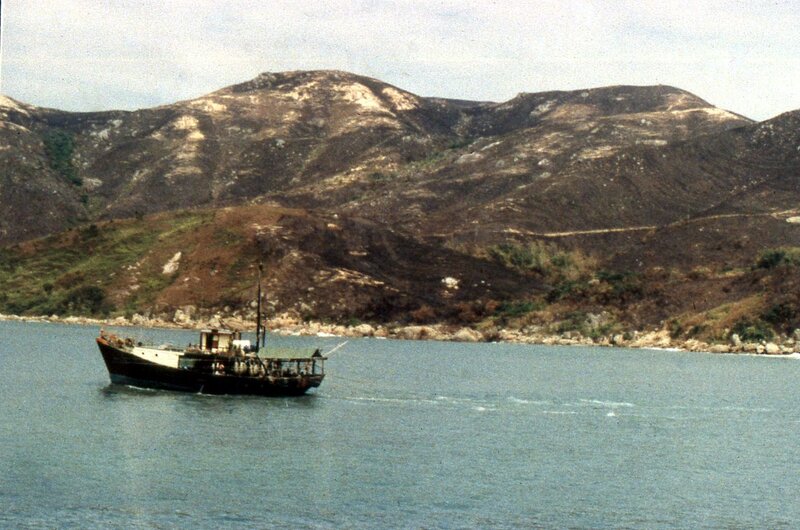 Lan Tau Island, Hong Kong after widespread grass fire (photo by W. Parham, 1994). Frequent grass fires here reduce valuable soil organic matter, destroy tree-seed sources, increase water runoff and erosion, and lead to soil compaction. These factors among others reduce the likelihood of forest regeneration and increase the potential for further land degradation.